in Münstertal, one of the most beautiful valleys of the black forest next to the Belchen(1415m). The house consists of hand-made works of art. Each piece is unique. The museum is open only on request. 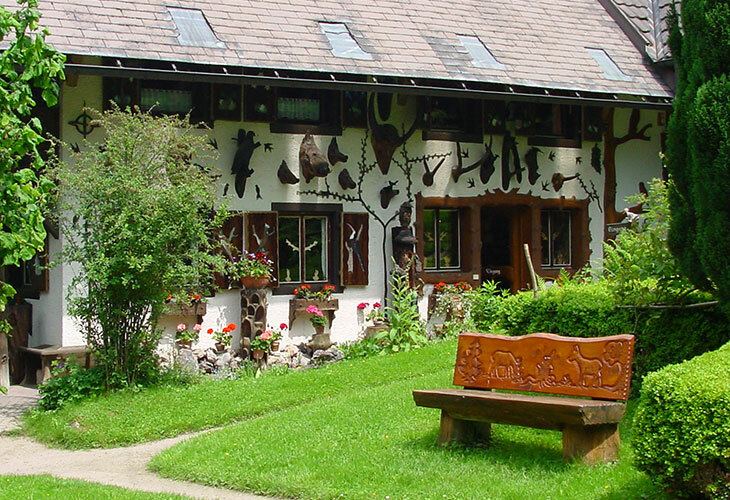 From 2015, we also offer a comfortable holiday flat for 2-7 people. Das Museum "Schnitzerstube" öffnen wir gerne auf Anfrage für Sie.